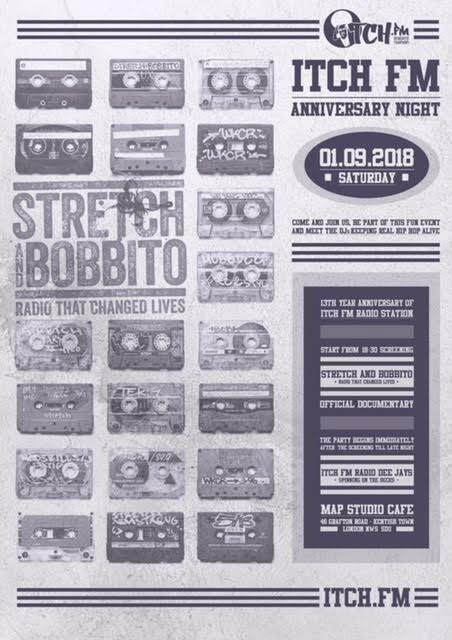 Come join Itch FM for our 13th Anniversary where we will be screening @stretchandbobbito “Radio that changed lives” documentary  down @mapstudiocafe on 01/09/18 from 18.30. After the doc we’re gonna party till late with the Itch FM DJs doing their thang  Free Admission all night!!! Admittance will not be allowed after the film has started.